If you have any questions, comments or suggestions, please contact Dave Rosato. Unfortunately the Friday evening reception has reached capacity. It costs $2 per person to enter the facility. For British Car Day, entrants that pre-register, register before October 11th, will receive access vouchers to enter which is included with the BCD entrant fee. 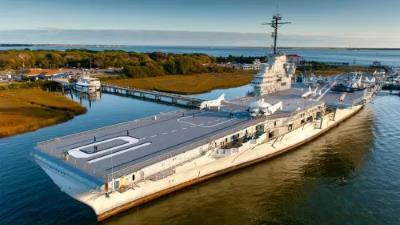 The Friday evening prior to the event, October 26th, we will be having a Welcome reception for participants on the USS YORKTOWN Fantail. Located on the rear deck of the YORKTOWN, the fantail is an enormously popular venue. The overhead aft section of the flight deck provides shelter from the elements with views of the Charleston Harbor and Charleston’s historic district. Unfortunately we have reached capacity for the venue. The Ice Cream TEAM will again be providing ice cold refreshments for British Car Day. 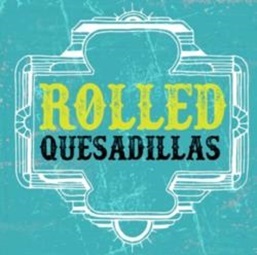 The Rolled Quesadillas food truck will again be providing fantastic food for British Car Day. Designed primarily for youth ages 8 to 14, the Youth Judging Program brings the world of classics to a kid friendly level. The Young Judges are guided through the show field as a group to pre-selected show cars and interact with owners, allowing the judges to learn details, history and fun facts about each. A simplified score card that highlights five basic categories and is rated on a scale of 1-to-5 is used. A drawing will be held for pre-registrants to win a $200 gift certificate for Moss Motors. There will be over a hundred old sports car magazines for sale going back to the early 1950’s. Check them out to see if you can find a road test of your vintage car. From I-26-Use the right 2 lanes to take exit merge onto-526 EPleasant. Go 10.9 miles. Take exit Long Point Rd. Go 0.2 miles. Use the left 2 lanes to turn Long Point Rd/State Rd S-10-97. Pass by Wendy's (on the right in 0.4mi). Go 1.9 miles. At the traffic circle, take the2nd onto Needlerush Pkwy. Go 1.4 miles. This page has been visited 103 times! 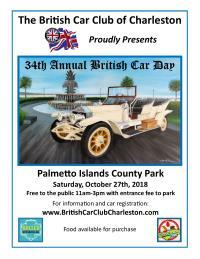 The British Car Club of Charleston invites you to join in the festivities of our 34th Annual British Car Day at Palmetto Islands County Park, Mt. Pleasant, SC. The event is open to the public for admission cost to the park ($2pp). We invite all British cars, whether a member of the British Car Club of Charleston or not, to register for the event. We typically have a host of MG's, Triumph's, Austin Healey's, Morgan's, Aston Martins, Lotus', Jaguars, Mini's, Rolls Royce's, Bentley's and more. Registration includes admission to the park for two, for pre-registrants. Register before October 11th and receive a BCD 2018 Tee shirt and be included in a $200 Moss Motors gift certificate drawing. The first 120 cars receive dash plaques. Have some fun and display your car in the period it was built. breakfast. To get the discounted rate, let them know you are with the British Car Day group. Use this link to register. 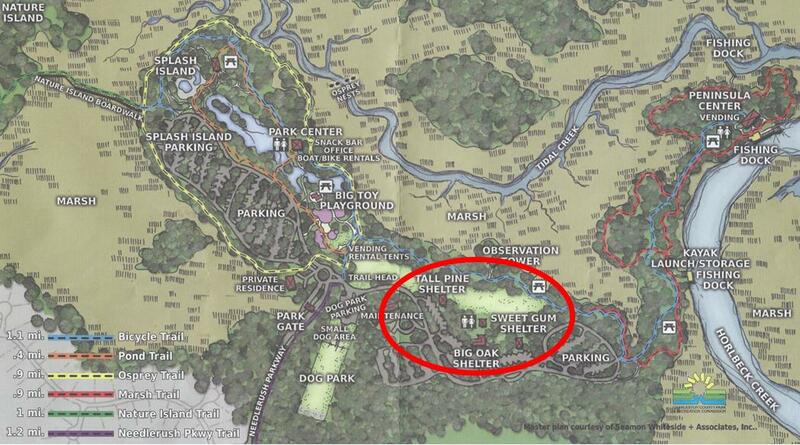 This hotel is 4 miles from Palmetto Islands County Park. Several members of the British Car Club of Charleston have opened their homes to those attending British Car Day. contact Dave Rosato for more details. We will be raffling off an original painting by Panagiotis Mitos, the same artist who painted the BCD poster. 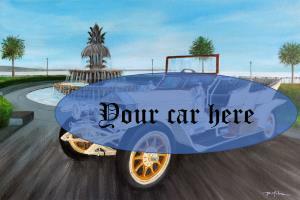 Buy a chance to have your car painted in front of the Palmetto Fountain in watercolor. You supply a photograph of your car and we will do the rest. Buy raffle tickets at the Friday evening Welcome reception or the day of the event.